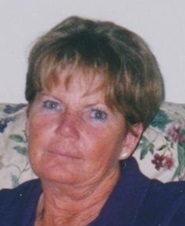 Wanda Toni Nelson, 68, of Roanoke passed away Thursday, January 10, 2019. She was born Thursday, February 16, 1950 a daughter of the late Charles and Mollie Turner. In addition to her parents, she was preceded in death by her son, Eric Nelson, and brothers, Charles and George Turner. Wanda lived most of her life in Lee County, Virginia. She was employed by Wal-Mart in Salem, Virginia. Surviving are her children, Elaine Hall, Vickie (Michael) Huff, T.J. (Jessica) Nelson, Sherry Turner, Linda Turner and Brian Turner; grandchildren, Travis and Clint Hall, Toni Huff, Neil (Kaitlyn) Huff, Ally and Gavin Miller; sisters, Shirley Million, Doris Collins, Lana Gilbert, and Patricia Fannon; numerous nieces and nephews. A memorial service will be conducted at 1 p.m. Saturday, January 26, 2019 at Dryden Missionary Baptist Church in Dryden, VA by Pastor Paul Davis, Jr. Private burial will be in Lee Memorial Gardens and Cecil-Fry Cemetery. Arrangements by Simpson Funeral Home & Crematory of Salem, VA. Courtesy arrangements by Province Funeral Home of Pennington Gap, VA. Province Funeral Home is honored to be serving the family of Wanda Toni Nelson.